PokerStars wants back in the US online gambling market, and on Tuesday the online poker site took a major step towards making that a reality. PokerStars has come to an agreement with the US that will keep the company from facing a trial in the criminal case that was brought on last year. The agreement comes at a time when individual states have started to regulate online poker. PokerStars is considered the top online poker site in the world, and their exclusion from the US market could have cost the company hundreds of millions of dollars in the next few years. The deal made with the government did not come cheap for PokerStars. Reports have the company giving the US government $547 million over the next three years. 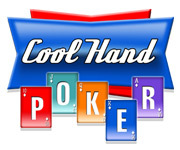 The money will go towards paying off player accounts from Full Tilt Poker. When the US indicted Full Tilt, PokerStars, and Absolute Poker, PokerStars was the first to pay back US players that had money in their playing accounts. Full Tilt held out, and on Tuesday the company agreed to forfeit all assets. That left the door open for PokerStars to pay Full Tilt’s debt, while remaining in good standing with the US government. The US also considered the settlement on Tuesday a victory. “Today’s settlements demonstrate that if you engage in conduct that violates the laws of the US, as we alleged in this case, then even if you are doing so from across the ocean, you will have to answer for that conduct that turn over your ill-gotten gains,” said US Attorney Preet Bharara. One of the key ingredients in the deal that was made for the online poker sites is that there was no admission to guilt. PokerStars will be permitted after the deal to partner with US gaming companies to obtain licensing in states such as Nevada and Delaware that have regulated online gambling this year. The total payout for the US government in the settlement was over $700 million. Analysts believe that if the federal government altered their online gambling laws, the annual revenue from taxing online poker could be upwards of $1 billion.